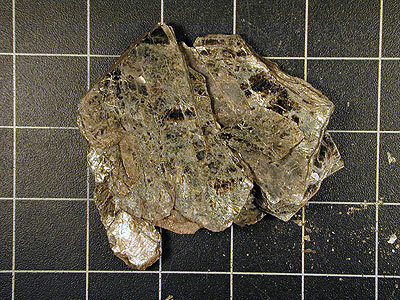 Igneous Rocks - produced by solidification of molten magma from the mantle. 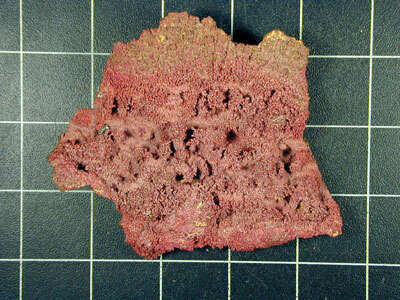 Magma that solidifies at the Earth's surface conceives extrusive or volcanic igneous rocks. When magma cools and solidifies beneath the surface of the Earth intrusive or plutonic igneous rocks are formed. Sedimentary Rocks - formed by burial, compression, and chemical modification of deposited weathered rock debris or sediments at the Earth's surface. Metamorphic Rocks - created when existing rock is chemically or physically modified by intense heat or pressure. Most rocks are composed of minerals. Minerals are defined by geologists as naturally occurring inorganic solids that have a crystalline structure and a distinct chemical composition. Of course, the minerals found in the Earth's rocks are produced by a variety of different arrangements of chemical elements. A list of the eight most common elements making up the minerals found in the Earth's rocks is described in Table 10d-1. Table 10d-1: Common elements found in the Earth's rocks. 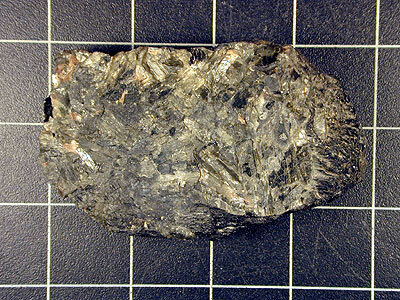 Over 2000 minerals have been identified by earth scientists. Table 10d-2 describes some of the important minerals, their chemical composition, and classifies them in one of nine groups. The Elements Group includes over one hundred known minerals. Many of the minerals in this class are composed of only one element. Geologists sometimes subdivide this group into metal and nonmetal categories. Gold, silver, and copper are examples of metals. 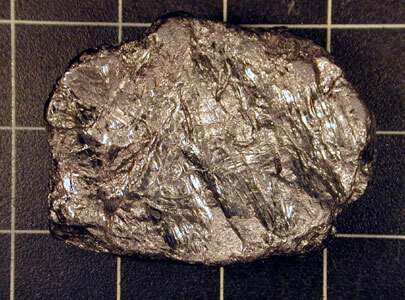 The elements sulfur and carbon produce the minerals sulfur, diamonds, and graphite which are nonmetallic. The Sulfide Group are an economically important class of minerals. Many of these minerals consist of metallic elements in chemical combination with the element sulfur. 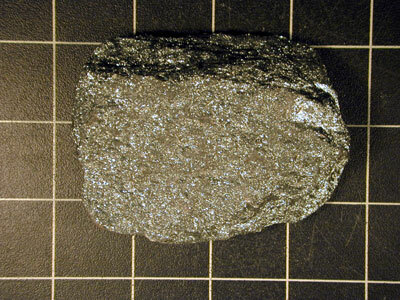 Most ores of important metals such as mercury (cinnabar - HgS), iron (pyrite - FeS2 ), and lead (galena - PbS) are extracted from sulfides. 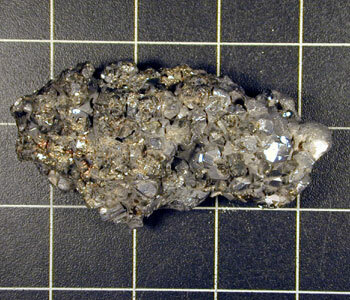 Many of the sulfide minerals are recognized by their metallic luster. The Halides are a group of minerals whose principle chemical constituents are fluorine, chlorine, iodine, and bromine. Many of them are very soluble in water. Halides also tend to have a highly ordered molecular structure and a high degree of symmetry. 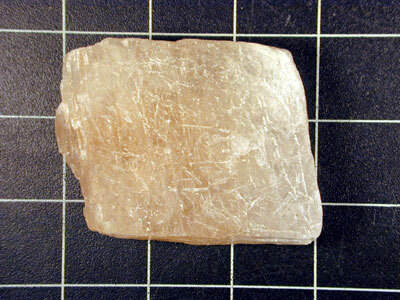 The most well-known mineral of this group is halite (NaCl) or rock salt. 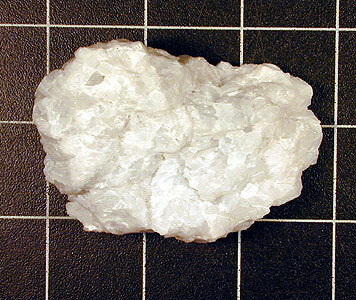 Figure 10d-6: Halite or rock salt. The Oxides are a group of minerals that are compounds of one or more metallic elements combined with oxygen, water, or hydroxyl (OH). The minerals in this mineral group show the greatest variations of physical properties. Some are hard, others soft. Some have a metallic luster, some are clear and transparent. Some representative oxide minerals include corundum, cuprite, and hematite. 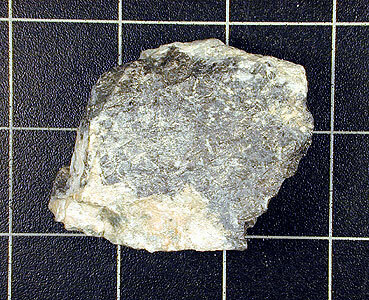 The Carbonates Group consists of minerals which contain one or more metallic elements chemically associated with the compound CO3 . 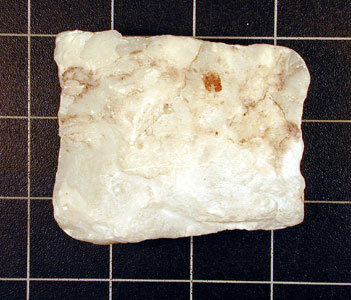 Most carbonates are lightly colored and transparent when relatively pure. All carbonates are soft and brittle. Carbonates also effervesce when exposed to warm hydrochloric acid. Most geologists considered the Nitrates and Borates as subcategories of the carbonates. 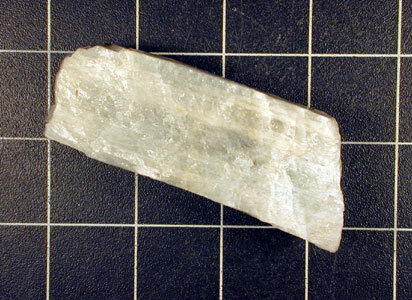 Some common carbonate minerals include calcite, dolomite, and malachite. The Sulfates are a mineral group that contain one or more metallic element in combination with the sulfate compound SO4 . All sulfates are transparent to translucent and soft. Most are heavy and some are soluble in water. Rarer sulfates exist containing substitutions for the sulfate compound. For example, in the chromates SO4 is replaced by the compound CrO4 . 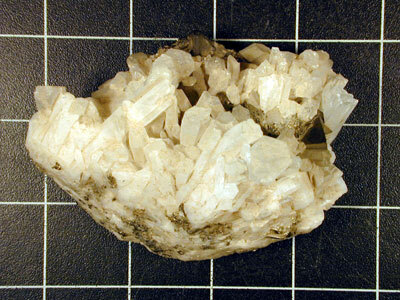 Two common sulfates are anhydrite and gypsum. The Phosphates are a group of minerals of one or more metallic elements chemically associated with the phosphate compound PO4 . 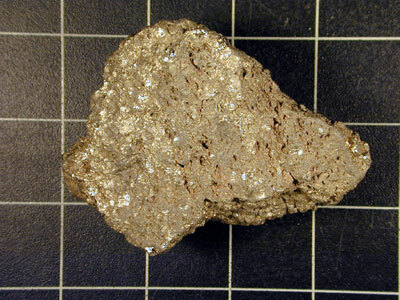 The phosphates are often classified together with the arsenate, vanadate, tungstate, and molybdate minerals. 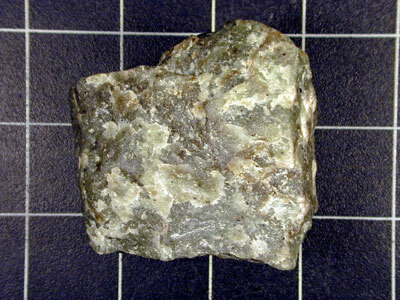 One common phosphate mineral is apatite. Most phosphates are heavy but soft. 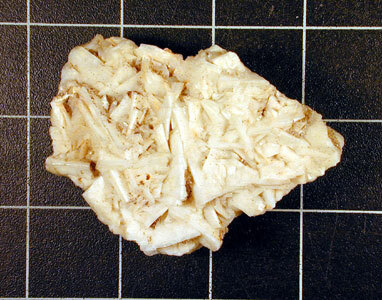 They are usually brittle and occur in small crystals or compact aggregates. The Silicates are by far the largest group of minerals. 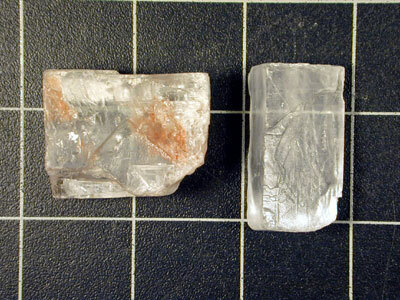 Chemically, these minerals contain varying amounts of silicon and oxygen. It is easy to distinguish silicate minerals from other groups, but difficult to identify individual minerals within this group. None are completely opaque. Most are light in weight. The construction component of all silicates is the tetrahedron. A tetrahedon is a chemical structure where a silicon atom is joined by four oxygen atoms (SiO4). Some representative minerals include albite, augite, beryl, biotite, hornblende, microcline, muscovite, olivine, othoclase, and quartz. The Organic minerals are a rare group of minerals chemically containing hydrocarbons. 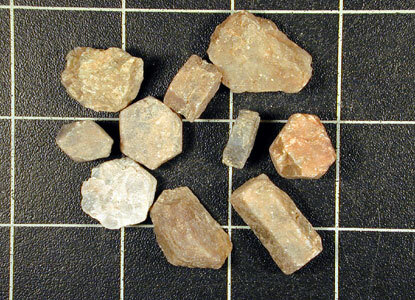 Most geologists do not classify these substances as true minerals. Note that our original definition of a mineral excludes organic substances. However, some organic substances that are found naturally on the Earth that exist as crystals that resemble and act like true minerals. These substances are called organic minerals. Amber is a good example of an organic mineral. Table 10d-2: Classification of some of the important minerals found in rocks. A lot of students cannot cope with some academic projects. That's why custom assignment writing service can help them with physical geography homework of any complexity.